Ten years after a band of mercenaries first battled a vicious alien, the invisible creature from another world has returned to Earth -- and this time, it's drawn to the gang-ruled and ravaged city of Los Angeles. When it starts murdering drug dealers, detective-lieutenant Mike Harrigan (Danny Glover) and his police force set out to capture the creature, ignoring warnings from a mysterious government agent to stay away. 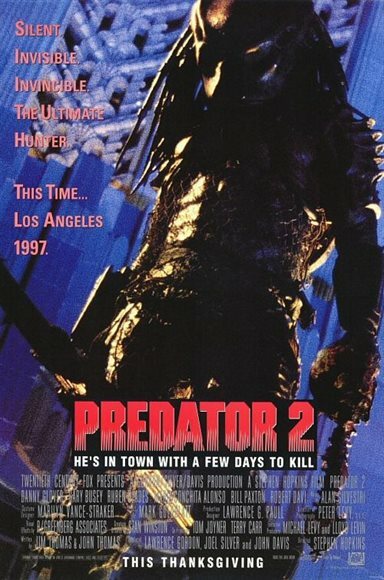 Download Predator 2 in Digital HD from the iTunes store. Predator 2 images are © 20th Century Fox. All Rights Reserved.